I've been feeling super thirsty these last few weeks. Almost as thirsty as when I'm nursing! I find myself constantly craving shots of ice cold juicy fruit, carbonated splashers, and plain ol' ice water... all. day. long. While I've been drinking about a gallon of water daily during this pregnancy, it suddenly seems to not be quite enough! I want juice and sweet, tart, shots of sugary goodness. My husband did a little impromptu grocery run last week to the health food store, and brought home the most delicious and refreshing frozen treats! 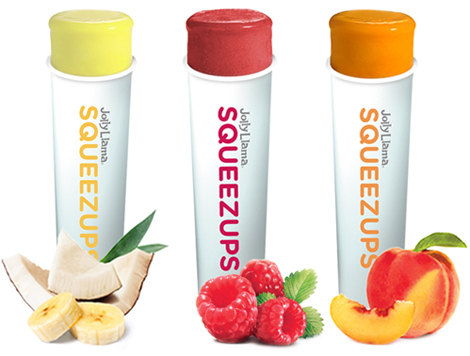 Jolly Lama Squeeze Ups are made of all fresh, whole ingredients that create the most silkily satisfying shot of sorbet. He was struck by the kosher symbol, natural ingredients, but mostly, the mod graphics. 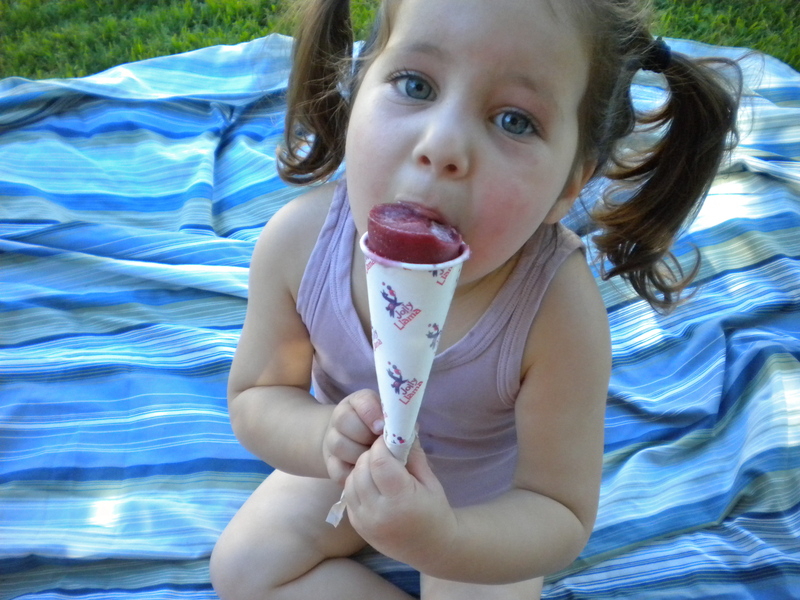 :) Anyways, we've sure been enjoying them - Freida's hooked. 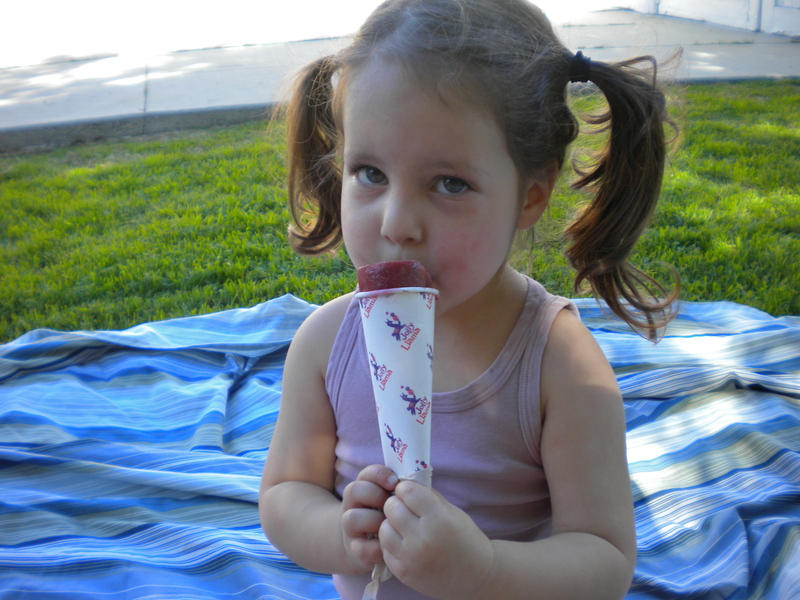 And it's a far better freezer treat for a kid than any of the other "natural" pops out there. Plus, I've been polishing off pregnant-sized boxes of them!